Our mentors are friendly, experienced Swift developers who will help teach you new techniques and tricks. Swift is a modern open source programming language that runs on macOS, Linux and on Windows using a linux subsystem. 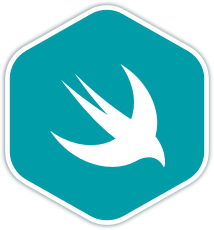 Swift was developed initially by Apple to interoperate with their key frameworks, Cocoa and CocoaTouch, both of which are mostly implemented in Objective-C. Swift is influenced by a large number of existing programming languages, and it incorporates concepts from a wide range of programming methods. Everything from scripting to object oriented and functional programming. Apple refers to Swift as a "protocol oriented programming language" and has expressed the goal of eventually making Swift useful for everything from scripts to an operating system. This Swift Tour is an introduction the language on Apple's Public Developer Website. Wikipedia's Swift Page giving a good, Wikipedia-styled overview. Swift is documented in The Swift Programming Language - again, on Apple's Public Developer Website - and in the iBooks Store. The ePub version is also available on Swift.org. Once you join the Swift language track, you will receive support and feedback from our team of mentors. Here are the bios of a few of the mentors of this track. I love Swift because of how simple and powerful the language is. I am constantly learning cool new ways of writing good Swift code as I work on an iOS app day to day. I love Swift for the new approach it gives to iOS development. I started using Swift when 1.0 was announced, excited to help developpers learn this super fun language! I started programming with Java, then moved to Scala, and later ended up in iOS development with Objective-C and Swift. I'm happy to help newcomers from all disciplines. I have been programming for around 5 years using various languges and technologies. Currently, I focus on Swift and iOS development. I am excited to mentor for Swift and join Exercism's Objective-C track as a student! I'm a professional iOS Developer, leaning towards a functional approach and mathematics based approach. I've been using Swift professionally since 2.0 was released. These are a few of the 83 exercises on the Swift track. You can see all the exercises here. Get started with the Swift track. As with everything on Exercism, it's 100% free!